In a series of articles, HFP will be looking into the meteoric rise of Sebastian Gorka, President Trump’s counterterrorism adviser. Recently questions have been raised about Mr. Gorka’s competence and his connection to anti-Semitic groups and individuals. This piece is the first installment of our series. Sebastian Gorka is a British-born British, Hungarian and US citizen who moved to Hungary in 1992 when he was 22 years old. As Gorka Sebestyén, he lived in Budapest for 15 years, managing to make influential connections and playing a political role in Hungary’s tumultuous events of 2007. Michael S. Smith II, a respected terrorism analyst who has advised members of Congress and White House officials, has raised serious questions about Sebastian Gorka’s qualifications as a counterterrorism advisor to President Trump, dubbing him on Twitter a #FakeTerrorismExpert. Congressman Robert Pittenger responded by releasing the following statement in Gorka’s defense. “Dr. Sebastian Gorka is a friend and trusted adviser on efforts to combat radical Islamic terrorism and increase the safety and security of American families. Since 2014, I have hosted seven Parliamentary Intelligence-Security Forums, bringing together more than 600 Members of Parliament and other leaders from 60 nations to discuss efforts to combat terrorism financing, money laundering, and other national security issues. Dr. Gorka has provided expert testimony at these forums, and I applaud President Trump for bringing him to the White House. Mr. Gorka and Mr. Gyöngyösi together on Congressman Pittenger’s Intelligence-Security Forums? Is that possible? Mr. Sebastian Gorka is certainly familiar with Jobbik since in 2007 he founded his Hungarian political movement with Mr. Tamás Molnár, the ex-vice-chairman of Jobbik. Mr. Molnár later warmly praised Gorka in an article published by kuruc.info, a California-registered Hungarian neo-Nazi website which was investigated by the FBI. Mr. Molnár was a regular contributor. 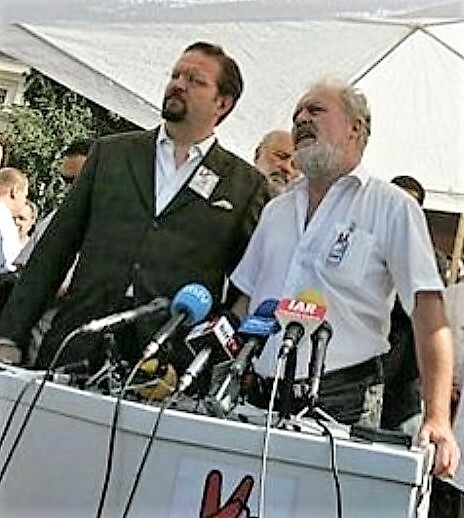 Mr. Gorka’s name also appears on a Jobbik campaign event announcement in 2004 where Mr. Molnár introduced Mr. Balázs Kirkovits, Jobbik’s candidate in the city of Sopron. Alajos Chrudinák and Sebestyén Gorka planned to speak at the event. Mr. Gorka has some explaining to do. Many of us have a hard time to understand why didn’t he, a seasoned security expert and “trusted advisor,” warn Congressman Pittenger that pro-Iranian Gyöngyösi might present security risks to the US? Why didn’t he react to the kuruc.info articles? Why didn’t he raise his voice when Hungarian diplomats met with Jobbik members here in the US? Mr. Gorka is a very low level Ph.D. and knows nothing about terrorism. But he is a very smart opportunist and knows the way to move up in the USA. He always comes on Fox Business News and talks against the Quran and Muslims. He tells lies and demonstrates his low level of knowledge about Quran and Islam. But such a tendency gives the foundation to move up in America. Basically, all the Muslim Arabs are Semitic people; therefore, Mr. Gorka is pouring his hatred now on this segment of Arabs and when the right time comes he will attack the Jewish people. Those anti-Semitic people have the instinct of a wolf and can kill any time. Mr. Gorka should be in jail now. Finally, whatever he thinks he will not be able to achieve his neo-Nazi/anti-Semitic goals in America. Excellent summary by Mr. Lázár, and congrats to HFP for being on top of this issue that is potentially a very explosive one, and goes to the heart of the security risks that are rocking the Trump administration. It is a fact, and not fake news, that Mr. Gorka is covering up, and whitewashing his decades long track record as an anti-democratic radical in Hungary. It is a fact, and not fake news, that for almost two decades, and until very recently, Mr. Trump’s White House advisor, was a close associate of some of the most vicious anti-Semites and pro-Iranian radicals in Hungary, and of people who have deep ties to the Russian secret service. Gorka’s track record began, with his first job with Ernő Raffay, Deputy Minister of Defense in Hungary’s first, freely elected post-communist government. 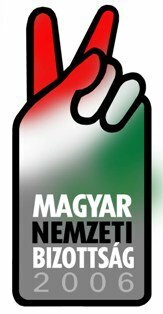 Raffay was not only a former secret service stooge in Hungary’s one-party state, but is also well known as one of Hungary’s loudest anti-Semites. 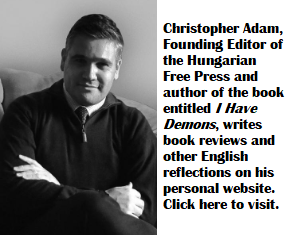 He has published many volumes during the past 5 years, blaming world-wide Jewry for the calamities that befell Hungary during the 20th century. Mr. Lázár rightly points out, that “for the record, Gorka mercilessly criticized the current Hungarian Prime Minister Viktor Orbán’s dead-end policies in 2007.” What he should have added was this: Mr Gorka criticized Orbán, because he thought that Orbán was not sufficiently radical, not extremist enough, in his war on democratic values and civil rights. Mr Gorka was a regular contributor of fake news to the neo-Nazi Hungarian weekly, Demokrata, a magazine, that compared Imre Kertész’s Nobel prize to “a piece of excrement” and which organizes annual tours to Hitler’s old mountain-top hide-away. Mr. Gorka worked for years as a contributor to this weekly, that glorifies Putin, and celebrates each year the heroism of those who fought in Hungary alongside the Nazis, and against America in WWII. Mr. Gorka claims he was introduced to the editor of Demokrata, Mr. Bencsik (who, by the way, was one of the founders of the neo-nazi militia, the Magyar Gárda) Mr. Gorka claims, that he didn’t know about the editor’s anti-Semitic views. Mr. Gorka should reveal the name of the “friend” who introduced him to Bencsik. Was it Mr. Lovas, or Mr Bayer, two of his former friends, who happen to be Hungary’s best known anti-Semites, and anti-democratic thugs? There is much that needs to be scrutinized about Mr. Gorka’s past. If he is a democrat, and shares the values that are sacred to democrats worldwide, he should cooperate with, rather than hinder this scrutiny. Who publishes for an outlet without having read its contents? It is not credible that he did not know he was involved with a neo-nazi publication. Excellent analysis by Professor Göllner. The team of Trump deplorables will ignore the truth but, fortunately, the US and world press, the Democratic opposition, the few remaining Republicans with integrity and the majority of American citizens will not. Demagogic “post-Truth” “Alternative Facts” have a temporary power to sway unthinking and mean-spirited masses, but the truth has a much longer reach: you cannot build long on an unsupported foundation: and especially not before the open eyes of the decent world.